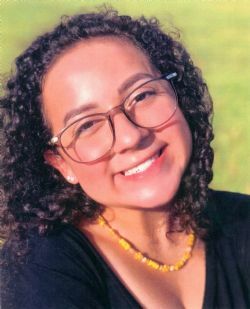 Ravenne Ann Marie Dodge, 17, a senior at Brazoswood High School, returned to her heavenly home on September 27, 2018, at her home in Lake Jackson, TX. Her devotion to her family and her firm belief in Jesus Christ was her support and strength throughout her life. Ravenne was born to Robb and Amie Dodge in Angleton, TX on June 27, 2001. She was immersed in the Christian community, loved the Lord, and loved serving the Lord at church and with Threaded Leaf Project. She was in many organizations at school, like the Brazoswood Belles, she was an ASL Officer, was on Student Council, had been part of the Brazoswood Choir, and she was nominated for 2018 Homecoming Queen. She was such a light and a joy to everyone she met — and she never met a stranger. She had the biggest heart of anyone. Ravenne was blessed with a loving big brother, Chase Dodge, who was her encourager, best friend and “Bubba.” Ravenne had a huge extended family and is survived by her parents, her older brother, her Aunt Erika and Uncle Maury McCown, her uncles Art Arguello Jr., Andrew Arguello, Alex Arguello, John Arguello, Bobby Rankel, Joel De Los Santos, maternal grandparents Art Arguello and Wendi Rankel-Ross, Uncle Samuel Dodge, Aunt Marie Felder, and Aunt Linda Hammonds, honorary grand parents Mike and Rosemary Allen, and numerous aunts, uncles, and cousins, and countless, countless friends from all over Brazoria County, and Cambodia. She is preceded in death by her maternal grandfather, Bob Rankel Sr., paternal grandfather, Robb Dodge Sr., paternal grandmother, Betty Butler Brown, paternal great grandfather, George Denver Dodge, paternal great grandmother, Marie Bertina Dodge. Funeral Services will be held at 6 pm Thursday, October 4th at New Hope Church, 3640 CR 58 Manvel, TX. Please note the visitation is at a different location. The family will receive friends Wednesday, October 3rd, at Hope Fellowship, 200 Lake Road, Lake Jackson from 5 pm–8 pm. Please wear Ravenne’s favorite color, yellow — the color of her favorite flower, the sunflower.